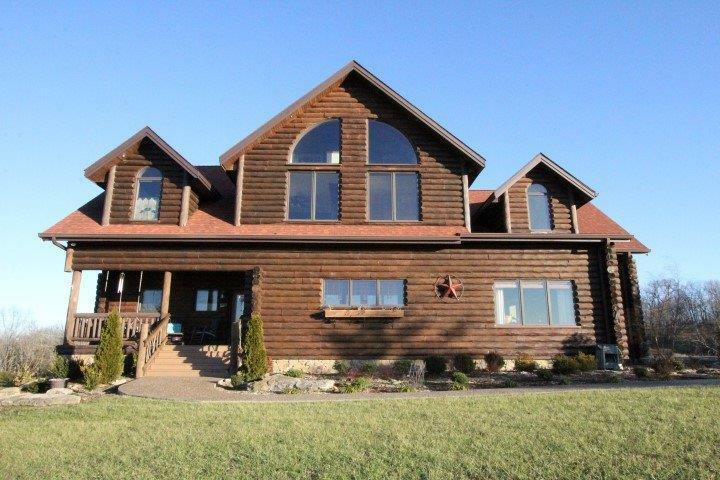 Don't hesitate or this beautiful log faced home overlooking Lover's Leap Winery with 4.16 acres won't be available for you! This home contains many features which include granite counter tops, stainless steel appliances, dining room, open family room with high vault and a large picture window overlooking the rear of the property. Also you will find a large stone fireplace, mud room, dining room, hardwood flooring, and a full unfinished basement. This 3 bedroom 2+ story home contains 2.5 baths, bonus room over the garage and a sitting area office on the 3rd level. All of this is on city water and is ready for your personal showing. Call today for more information!